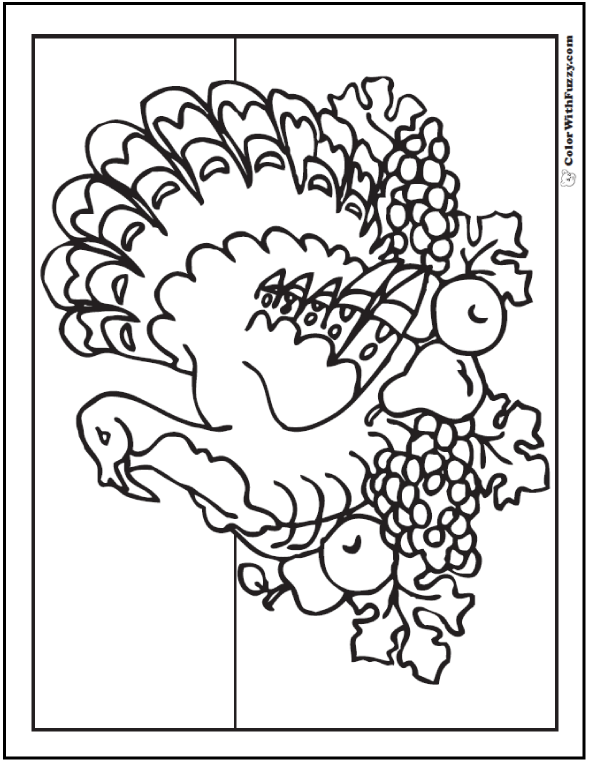 Kindergarten children love this Thanksgiving coloring theme with a turkey, fruits and leaves. Perfect for fall and holidays. Print this Thanksgiving coloring theme.